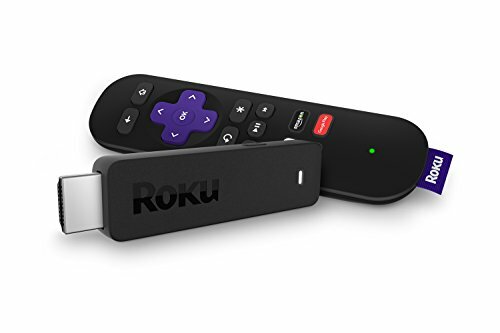 Roku’s streaming-media players have always stood out from the competition with a simple formula: Affordable hardware, plus an app selection unrivaled in its quality and diversity. But the platform’s app selection is deteriorating even as the company’s players become ever more affordable with the new Express, Premiere, and Ultra modelsannounced this week. Roku is no longer the primary destination for some major content providers, such as PlayStation Vue and Twitter, and when those providers do get around to supporting Roku, the quality of their apps doesn’t match what’s available on other platforms. Roku seems to recognize the issue, there are some major improvements to its app-development tools on the way. Still, it’s unclear whether those tools will be good enough, or whether developers will even take advantage of them. I’ve pointed out examples of Roku’s inferior apps in a couple of product reviews, but it’s worth describing them in greater detail here. 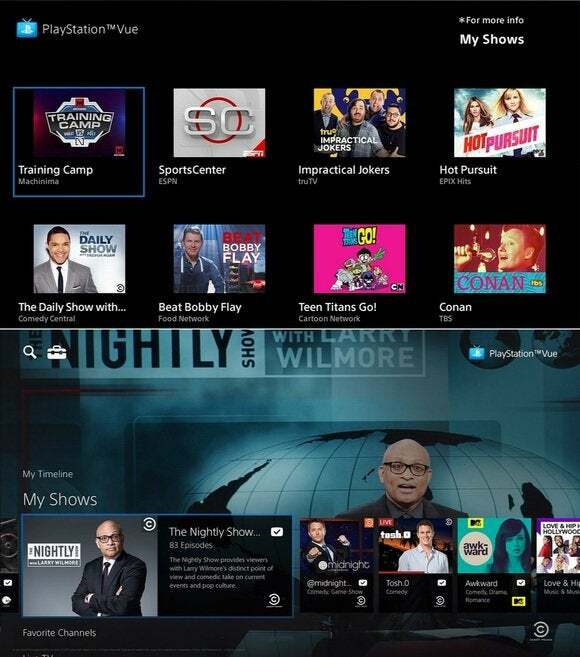 Look at the two screenshots below and compare how the PlayStation Vue app looks on Roku (top) to its appearance running Amazon’s Fire TV (bottom). Unlike the Roku app, the Fire TV version can play video in the background while you browse the guide. 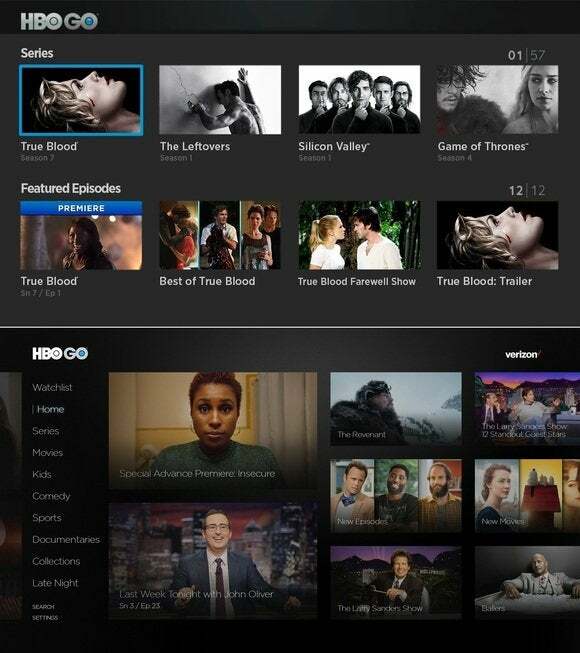 The app is also easier to navigate on the Fire TV, with brief descriptions of the highlighted video and quick access to other sections, such as Favorite Channels. 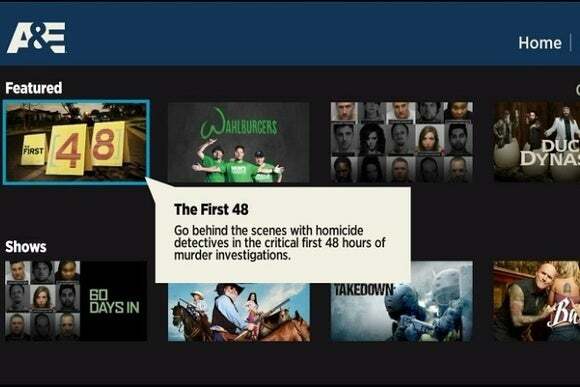 What’s more, Vue’s Fire TV app includes a grid-based channel guide, akin to what you’d get from a cable box. This feature isn’t available at all on the Roku version. The problem here is that Sony used a standard Roku template to create its Roku app, instead of building something from scratch. And that’s just a mismatch for a service as sophisticated as PlayStation Vue. 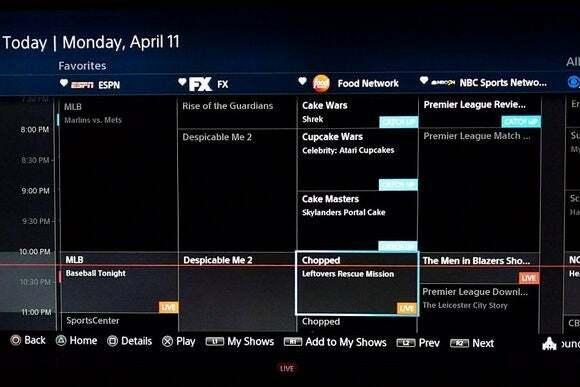 Use a Roku device often enough and you’ll see this same template over and over. Here’s another comparison: HBO Go (see see below). The Fire TV app (pictured on the bottom) isn’t just prettier, it’s also more useful, with a list of navigation shortcuts along the left side of the screen. Similar-looking apps are available on Apple TV and Android TV, but not on Roku. In some cases, streaming-service providers are simply skipping over Roku, at least in their initial roll-outs. 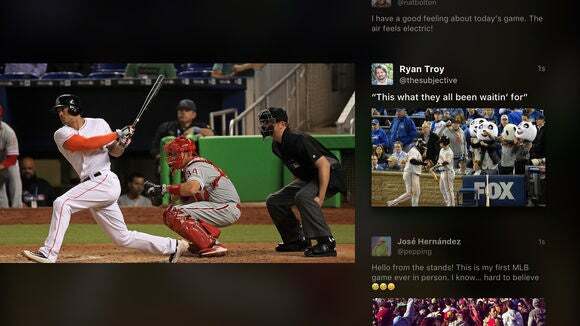 That was the case last week with Twitter, which launched live-streaming apps on Apple TV, Fire TV, and Xbox One, but not Roku. When it comes to watching Thursday Night Football without cable, Roku users are out of luck. As I wrote in my 2016 Roku Streaming Stick review, Roku’s basic apps aren’t always a bad thing. The bare-bones interface likely allows Roku to squeeze a smoother experience out of lower-cost hardware (including Roku smart TVs), while also keeping the interface consistent and familiar to users. Those templates have also helped Roku gain a large selection of niche streaming apps, because they’re so easy to build on. They only become an issue when streaming services start excluding features from their Roku versions, or skipping over the platform entirely. The examples above show that this is starting to happen. Roku does allow developers to create more custom apps—Sling TV and Tablo are a couple of noteworthy examples—but because Roku doesn’t have a wider ecosystem beyond its TV boxes, none of that code is usable anywhere else. For that reason, app makers could decide not to bother. Is relief on the way? I don’t mean to be all doom-and-gloom for Roku users; signs indicate improvements are on the way. Earlier this month, Cord Cutters News reported that Roku was revamping its templates for app developers. The new templates are visually more appealing, and they allow for new features such as the ability to browse an app’s menu system while the stream continues in the background. These enhancements could attract new “skinny bundle” services such as DirecTV Now and whatever Hulu is working on. They might also be the kind of thing that Twitter is waiting on before investing in the platform. Roku has also been signing up app developers for a beta version of Roku OS 7.5, which is due out this fall. This is the first time Roku has opened its beta to all app makers, and in addition to collecting bug reports, Roku is hoping to gather requests for features that would make third-party apps more useful. Lately, other platforms seem to be doing a better job, but hopefully that won’t last. It’d be a shame if Roku’s promising new hardware didn’t have first-class apps to go with it.